This is the first artifact that I have to do for the subject. It helped me to understand deeply what applied linguistics is. Also this task gave me a whole view about all the interested topics that AL covers. At the beginning of the course, I do not know what applied linguistics is. 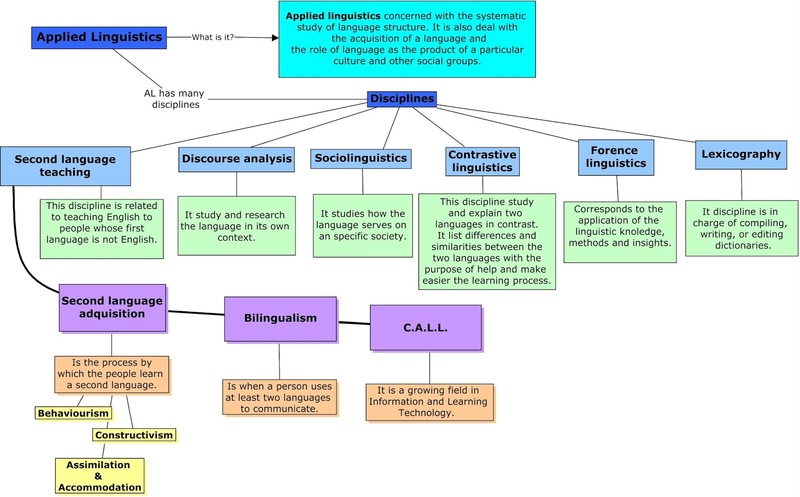 I just had unclear ideas of what were Second language acquisition, Discourse analysis and Sociolinguistics. But with this introductory Cmap I could see that there were so many fields that I do not know.